Johnny Blaze made a deal with the Devil and became Ghost Rider, the Spirit of Vengeance! To coincide with the feature film release comes this Marvel Select figure. 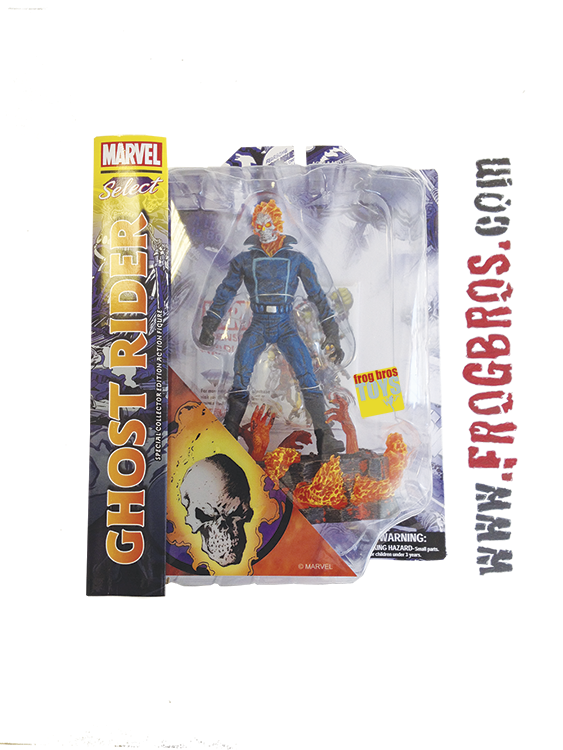 Ghost Rider! Standing 7 tall complete with deluxe base, this highly-detailed figure release features multiple points of articulation! Blister card packaging.